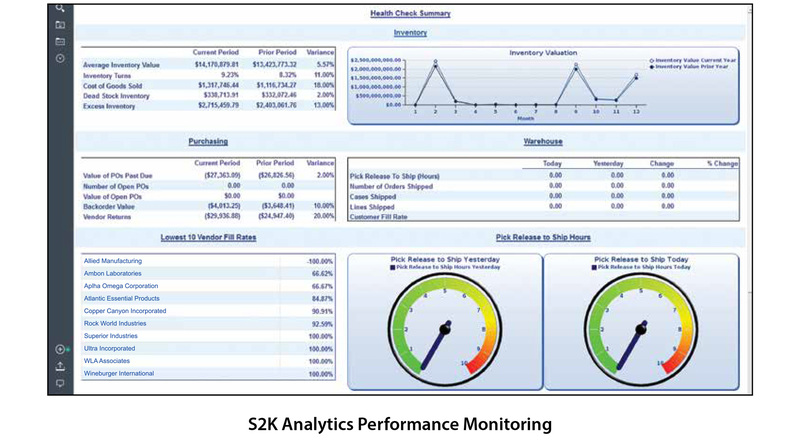 With S2K Analytics, you can create powerful dashboards and reports that will allow you to easily identify anomalies that could turn into significant business issues, identify and analyze opportunities and trends, communicate goals consistently with employees, and monitor performance against targets. Access to accurate information has never been more vital to grow revenue, protect margins, and improve profitability. Whether your business is distribution, manufacturing, retail or service, S2K Analytics gives everyone in your value chain the answers they need to excel in a highly volatile environment. Simple, intuitive, drag-and-drop authoring capabilities that are easily accessible from a web browser for self-service reporting by any user, from novice to expert. A common metadata model that presents information to users in business terms that they understand, so they can be productive right away. Access to all corporate data in any combination, including relational, analytical OLAP or even desktop files for comprehensive, accurate reporting. Broad report coverage to meet the needs of different users, including financial, production, operational, transactional, managed, or ad hoc reports. Flexible report delivery that includes the ability to write once and immediately publish reports to the web, PDF files, Excel spreadsheets, email messages, and the Cognos Express web portal. Pre-configured dashboards help you gain immediate visibility into sales, revenue, and productivity. Real-time dashboards that allow you to monitor key performance indicators at the department, location, or company level. Assemble a view that contains visualizations such as a graph, chart, plot, table, map, or any other visual representation of data. Drag and drop data onto the screen to see the visualization change to suit the analysis. Easy to use interface that allows users to change content appearance simply by clicking objects and selecting different options from drop down menus.